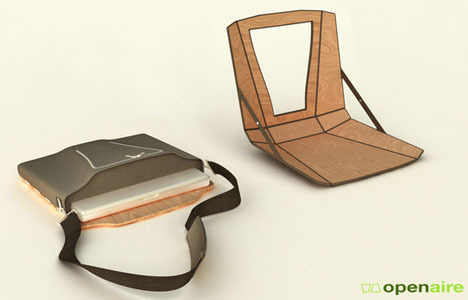 Flat-pack furniture rarely looks quite so contemporary (let alone: remotely comfortable), but this all-in-one messenger bag manages visual appeal while packing an incredible combination: a flip-out work station and fold-up seat. 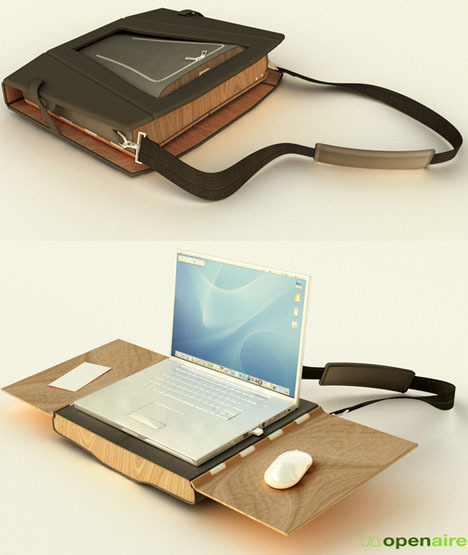 Designed by a creative pair of brothers, NICK+BEAU, this hybrid laptop carrying case is as compact as any computer bag could hope to be, but its semi-rigid sleeve opens into a wood-grained work surface … and in turn is framed by a folding chair using simple tension straps to support it. When the side panels are opened, they work as secondary space for setting a mouse (or, if you are careful, a snack and perhaps a drink). 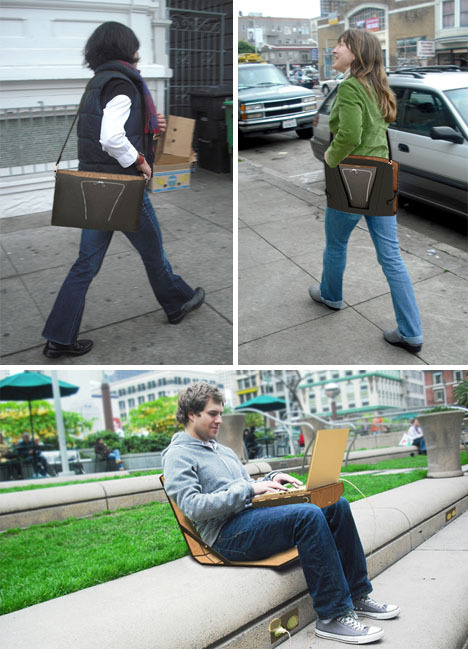 Meanwhile, the curved shape beneath is designed to fit right on your lap and stop the station from scooting around. 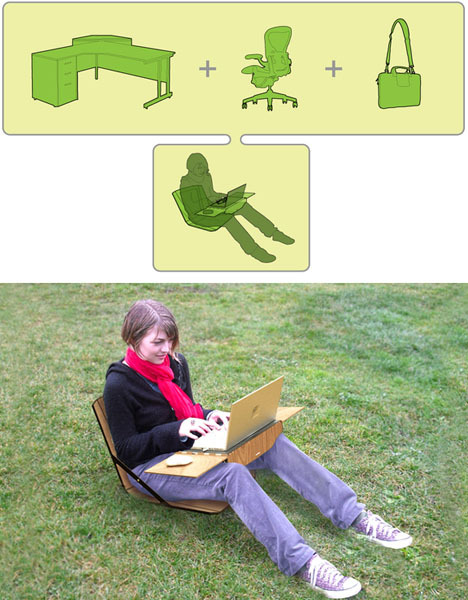 Best of all: each configuration is aesthetically convincing – though the core computer support is a tad clunky, it (overall) actually looks like a solid and attractive piece of portable, multi-functional, transforming furniture. Shows that two designs can work together, and two heads can indeed be better than one.